Housemarque's Alienation may well be my favorite twin-stick shooter released this year. From the world progression to the loot progression, there's always a new challenge and better gear waiting just around the corner. While the game has been an online co-op only affair since its launch, the much requested local co-op option will be getting added in a free update on July 5. The Finnish developer announced the news on the PlayStation Blog yesterday and also revealed their plans for some paid DLC. First off, though, the update next week. As I mentioned before, this is a free update to the game that will allow you and a group of friends to plop down on the same couch and play together. The loot rules do change, however. In online co-op, all loot is instanced; in local, it will be "first come, first serve." So, please, be kind to your friends and don't grab all the gear for yourself. Along with the local co-op, a "League" system will go into place, which will allow players to compete for (I'm assuming) top scores, two new difficulty modes (Expert and Master) are being added, and some tweaks are being made to loot drops and the Arkship. A lot of content in just one patch. While the free content will not end with the release of this update, Housemarque did discuss its plan for paid DLC as well. The first piece, called the "Survivor's Pack," will add a new piece of gear (the Vortex Grenade) to the game. It will also open up the Primary weapons to all of the hero classes. At the moment, your hero class determines what type of Primary weapon you use, so this is a bit of a "game changer." The Survivor's Pack will retail for $5.99 when its released next week, or you can pick up the Season Pass for just $9.99, which will get you the Survivor's Pack, all future DLC (two more planned at the moment), the game's soundtrack, and a dynamic theme. That's a pretty good deal for just $10. 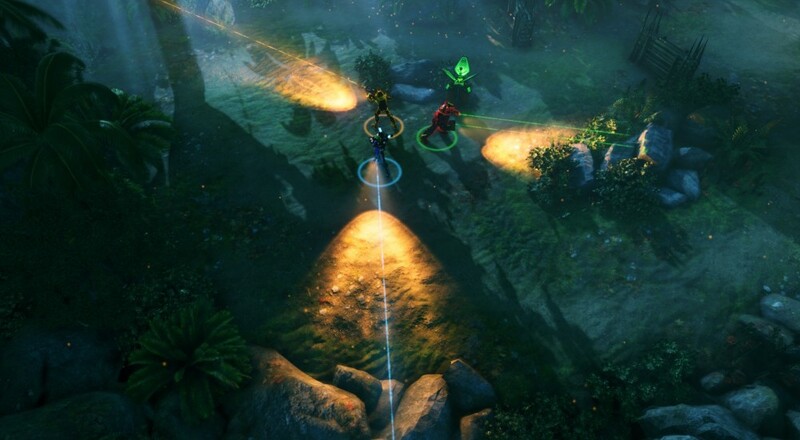 Alienation is available for the PlayStation 4 and supports four player co-op, both online and (as of next week) local, throughout the campaign. Page created in 0.2467 seconds.